Hi everyone! 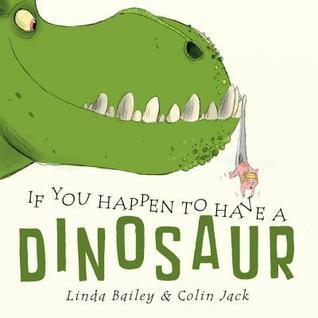 This week we will have a roaring good time listening to books about dinosaurs! Five enormous dinosaurs letting out a roar. ROAR! 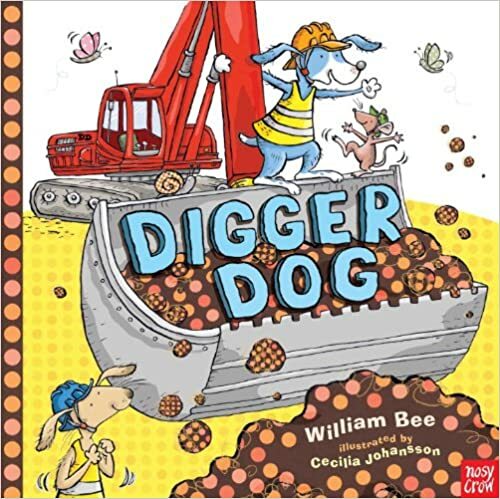 Book – Digger Dog – by William Bee – This is the story of very energetic and determined dog! Digger Dog loves to dig up bones . . . the bigger the better. But for the biggest bone in the world, what will Digger Dog need? The biggest digger in the world, of course! The stegosaurs’ tail went spike, spike, spike. 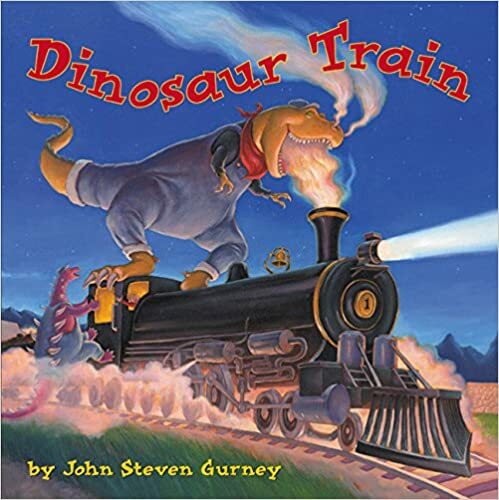 Book – Dinosaur Train – by John Steven Gurney -Thursday night at bedtime, Jesse climbs out his bedroom window and hops on board a mysterious dinosaur-filled train that steams into his backyard. Dinosaur, dinosaur, Stomp the ground. Dinosaur, dinosaur, Snap your jaws. Dinosaur, dinosaur, Sit back down. Book – Dinosaur Roar! 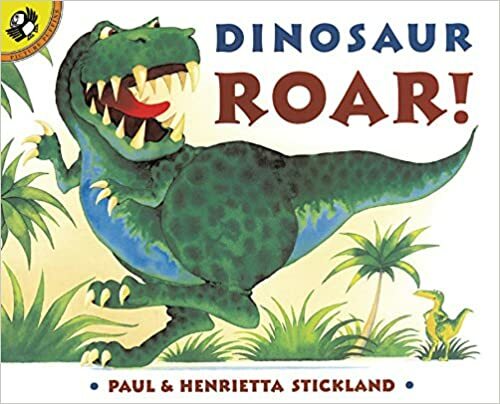 by Paul and Henrietta Stickland – Dinosaurs of every shape and size race, roar, and stomp through this colorful book of opposites. And where are all these silly-looking creatures off to? A dinosaur picnic, of course! 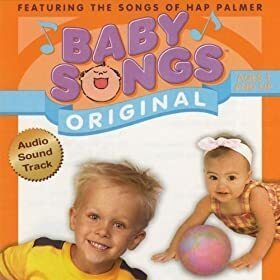 Song/Activity – We are the Dinosaurs- Have children march around the room.